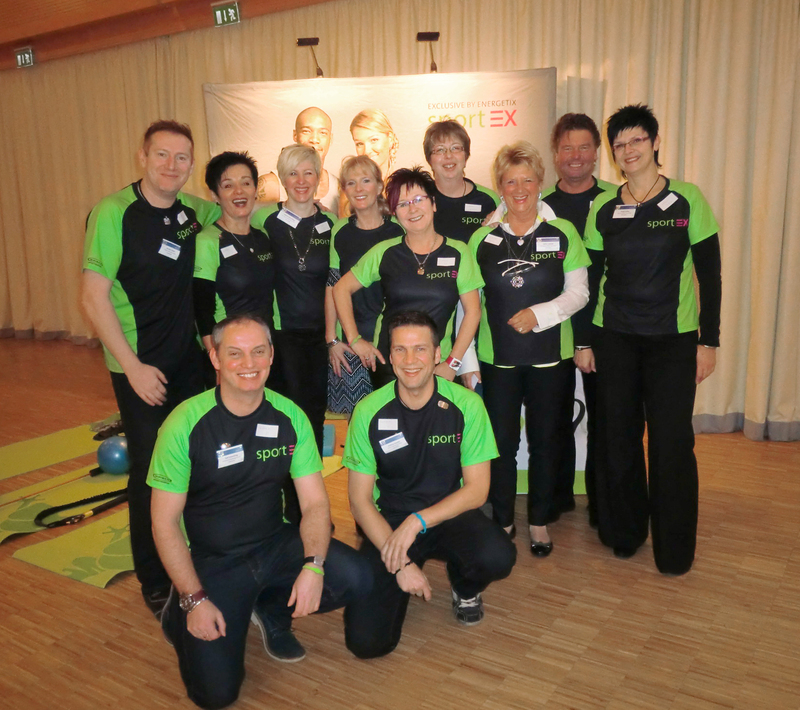 In 2013 it’s once again “on with the running shoes and out onto the track” for ENERGETIX distributors and staff. Every kilometer counts! As in 2012, an ENERGETIX team will again be taking part in this year’s Gutenberg Marathon in Mainz – to run the half-marathon distance. Last year an ENERGETIX group of over 50 runners took part. In their red sports shirts, the runners struck a colourful note among the several thousand participants from all over the world. ENERGETIX is hoping that a large number of its “red frogs” will again take part in the 2013 race. Electrolyte drinks, massages and cheers of encouragement along the 21.0975 km distance. As was the case last year, a highly motivated ENERGETIX support team will provide comprehensive assistance in 2013. To strengthen the team spirit, each runner will be given an attractive sports shirt! Sports-minded distributors and staff from the Bingen headquarters will be running together in Mainz to support a worthy cause. For every kilometer run, ENERGETIX Bingen will donate two euros towards a charity project. The marathon will take place in Mainz on Sunday 12 May 2013. Whether interested in running the 42.195 km or the half marathon distance, all ENERGETIX Bingen distributors are invited to join the team on 12 May. ENERGETIX distributors and staff can register at running@energetix.tv up to 15 February 2013. Good to know: Please remit the entry fee of 40 euros per runner in advance (you will find the bank details in the QuickNews item about the half marathon – it was sent to ENERGETIX distributors in January). All ENERGETIX participants will have the fee reimbursed by ENERGETIX. If you have registered but are unable to take part on 12 May, the money you have paid will be added to the donation amount. Training on a treadmill, a forest path or a cinder track, on your own or in a group – there are many ways to build up your running capacity and be in top form for the long-distance run on 12 May. In addition to the charity aspect and the unique team experience, there is at least one other reason for participating. After all, “more exercise/sport” is one of the top 10 good intentions of most amateur sportsmen and women. The eagerly awaited ENERGETIX start-of-year meeting took place on the second weekend (10th to 13th) of January in a snowy, wintery Willingen. Its slogan was “Fit for the next decade”. The creatively and motivationally stimulating goal collage training was another important item on the programme. The use of collages for visualization helps people become aware of their own wishes and goals. For the first time ever, the eagerly awaited new Spring collection together with the hot-off-the-press brochure were presented at the start-of-year meeting. In addition to the new jewellery for ladies, men and children, a new ENERGETIX product, the MagnetTime modular wristwatch, also aroused great interest. 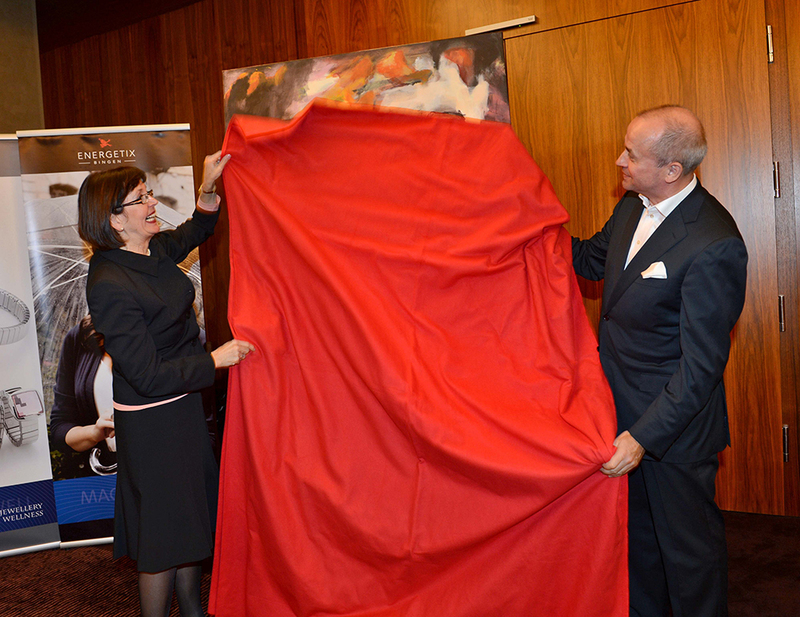 The secret was revealed, the eagerly awaited answer to the question “Mainz or Berlin – where will the 2013 Catalogue Launch take place?” was first announced in Willingen. 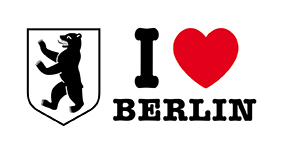 The winner, we reported, is Berlin. The next ENERGETIX Catalogue Launch will be held in the renowned Estrel Hotel and Convention Centre! Graduate sports scientist and best-selling author Slatco Sterzenbach, whom ENERGETIX was able to get as a trainer for the start-of-year event, talked about nothing but motivation. The 15-time ironman gave distributors clear, practical tips relating to diet, activity, sleep, relaxation and mental training so they could in future cope better with the demands of the day. 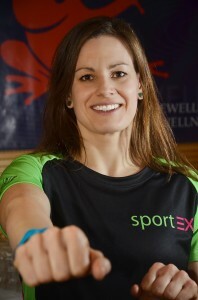 According to the slogan “Fit for the next decade” it became a sporting event, as fitness trainer Julia Rittner invited all attendees to what was effectively a Thera-Band workout. The distributor raffle raised over 3,000 euros for the cause. Sole shareholder and CEO Roland Förster immediately rounded up the amount, so in the end 5,000 euros was donated for a school in Nepal. Thanks to the generosity of ENERGETIX distributors! The Sunday meeting of the multinational STARCLUB focused on exchanging ideas. As well as combining with the management committee to answer one another’s questions, the “stars” were called on to make a creative contribution to the new ENERGETIX decade. 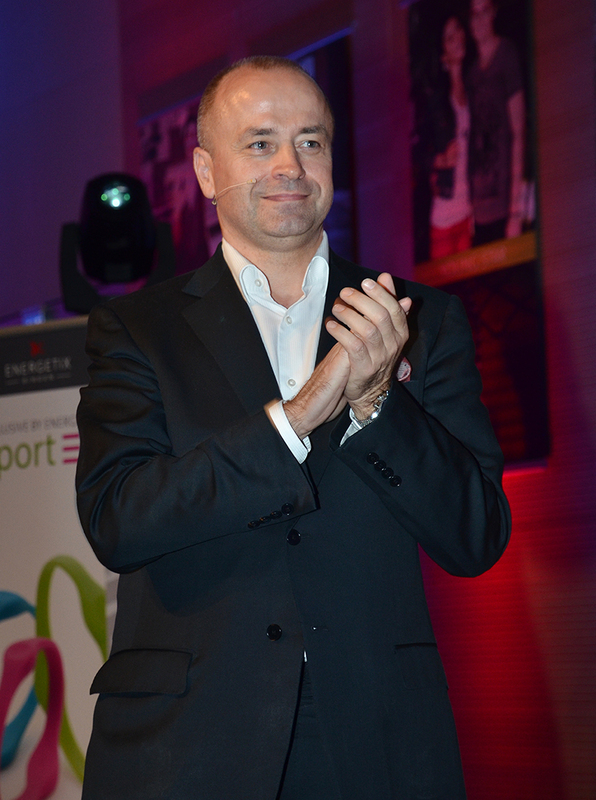 ENERGETIX distributors will shortly receive a QuickNews about the Start-of-year event with more detailed information and further photos. 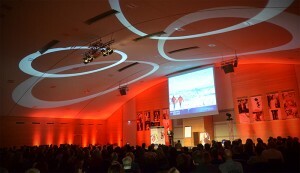 The eagerly awaited results from the online survey – “Mainz or Berlin … where will the catalogue be launched in 2013?” – were announced at ENERGETIX’s start-of-year meeting in Willingen. 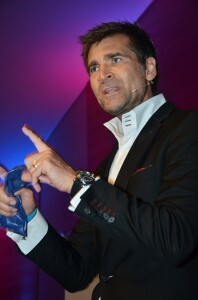 Berlin clearly made the running and so the next ENERGETIX Launch is to be staged in Berlin! Europe’s largest congress and hotel complex – the Estrel – in Germany’s capital will be the place to which ENERGETIX’s distributors will be heading. 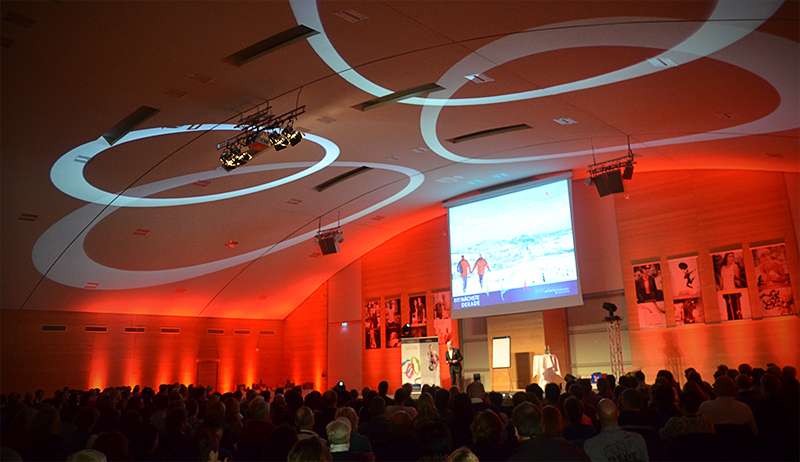 Jewellery presentations, a rich and varied entertainment programme, dinner and accommodation: this remarkable event location offers ENERGETIX the benefit among other things of combining “everything under a single roof”. Everybody – both distributors and the entire ENERGETIX team – is really looking forward to the next ENERGETIX Catalogue Launch in Berlin. What is grass green and black, has a silky shine and makes distributors look good during sporting activities or at their sportEX fair / event stand? The sportEX sports shirt from ENERGETIX Bingen. 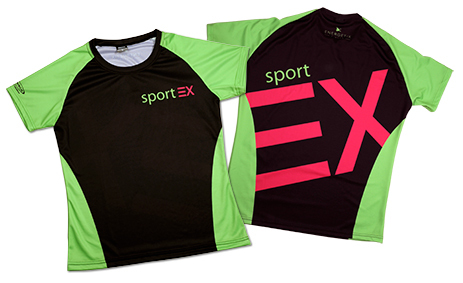 The sports shirt, available in a men’s and ladies’ fit (S – XXL for both), was premiered at the ENERGETIX Start-of-Year-Event in Willingen: the powerful combination of colours and the sportEX logo – small on the front and extra large on the back – catch everyone’s eye. As long as stocks last – these tailored sports shirts (items PP226 and PP228) are in great demand. Distributors who make up their minds quickly have a clear advantage – some sizes are already sold out. Ilona Arndt and Roland Förster revealing the Art Advent Calendar’s 15th window on the Jumeirah/MyZeil façade. 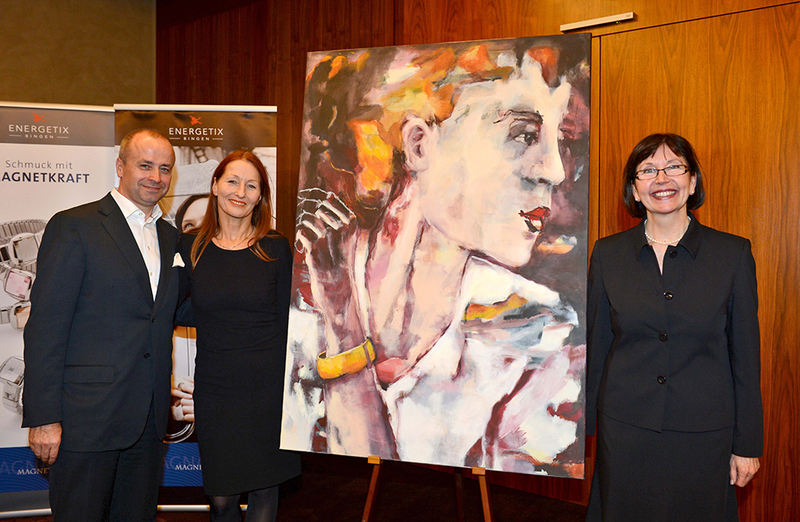 ENERGETIX’s “door” to the Art Advent Calendar was opened (as reported) on Saturday, 15 December 2012 – in other words, the work of art was revealed in person by Roland Förster and the artist, Ilona Arndt. Unfortunately, the model, Franziska Knuppe, who was the celebrity backer, couldn’t make it as she couldn’t get away from Berlin airport. 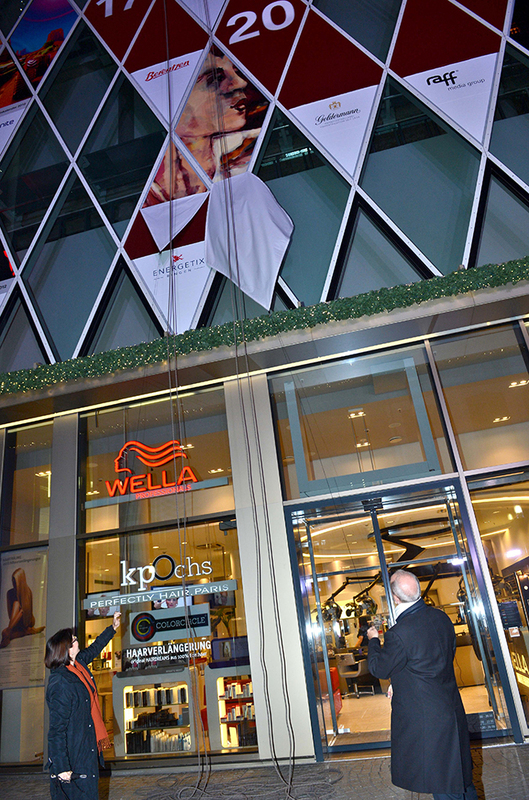 Click here to see the photos from Frankfurt am Main. 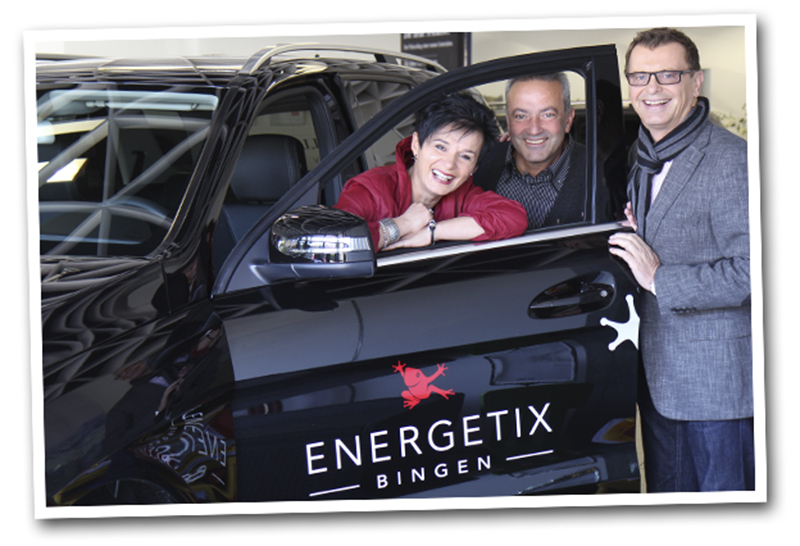 A very happy and emotional moment: ENERGETIX COO Dr. Thiel handed over a gleaming black dream car to International Marketing Directors Biba and Pino Marseglia as part of the ENERGETIXDRIVE programme. ENERGETIX distributors Andrea Geiger, Michaela and Andreas Rey, Birgit Speck, Christa Johannknecht and Katja and Wolfgang Düsener were also delighted to receive their new cars from the ENERGETIXDRIVE programme over the last few weeks. … that bracelets 2179 and 1373 in the Collect series of the Basic range also combine really well with the small elements 1487 and 1489? As with the classic beads (catalogue page 62/63), you just string the elements on the black or turquoise multi-wrap leather bracelets (S-XL). Enjoy trying out different combinations! It looks almost as if the shooting even brought the traffic in some parts of Manhattan to a standstill? J. E.: No, of course not… we behaved and we stuck to the highway code and waited for the green lights at the pedestrian crossings to take the pictures for this series. But then we did have to move quickly, which was great fun, and it was worth it to capture the vibrant street life in these images. What’s new in the Chevron category? J. E.: I think the ring with the Chevron motif is a highlight. It stands out because its top is open.I also particularly like the pendant because at first glance it looks plain but it does possess an unusual feature: it can be worn in two different directions, for instance, with the arrow tip pointing sideways or, when the pendant is threaded in so that it is turned by 90°C, the arrow tip will point up or down. What’s the story behind SWAG? J. E.: Well, it was obvious that we should also create a few pieces for boys. And the word SWAG inspired us here. In Germany, it was Langenscheidt’s young people’s word of 2011. SWAG describes a specific attitude, and stands for a casually cool vibe and charismatic aura. 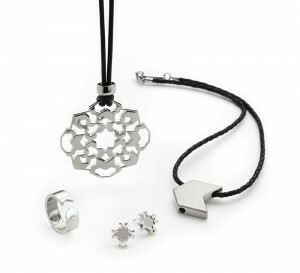 The surf motifs are repeated on both pieces: the pendant takes the shape of a surfboard and the bracelet possesses a stainless-steel element with magnets bearing an engraving of a wave and a surfboard. The bracelet beads are made from coconut wood. People attending the launch were also able to admire a new set of jewellery for young women on Ivy Quainoo, the singer who won the German version of TV’s “The Voice”. 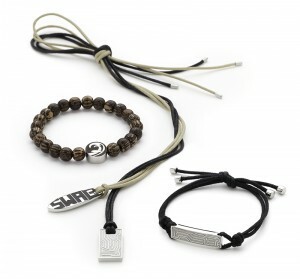 J. E.: Yes, the set includes a bracelet made from wooden beads that have been coloured blue: it is adorned by two tag elements, a star motif and a small tag element possessing integrated magnets. 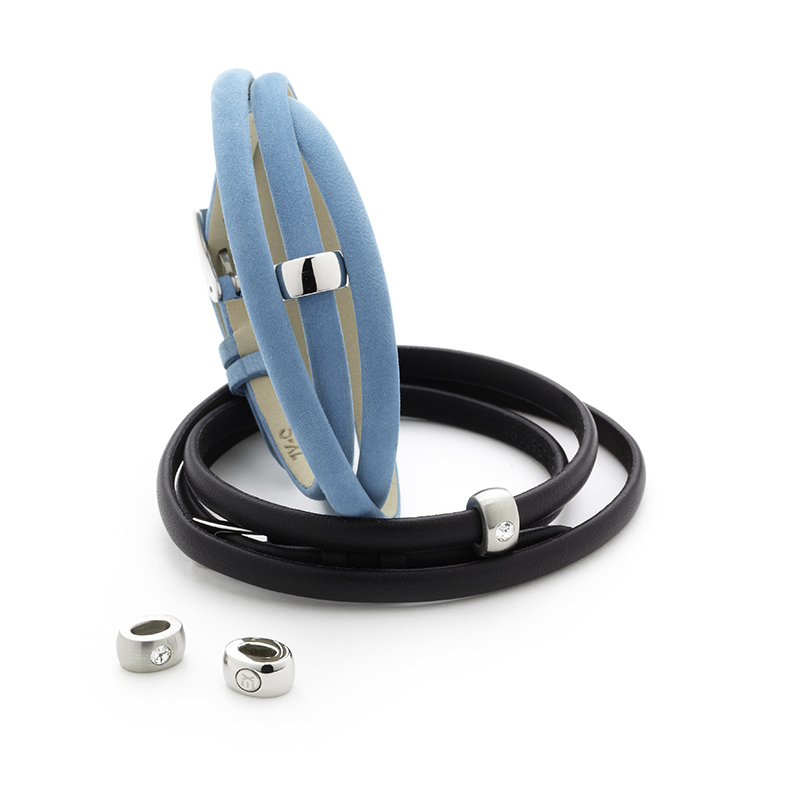 This range comes with matching large but very light ear droppers and a pendant that may be combined with a fabric cord, a fine long chain or even with the clip loop. And new animal motifs have been added for the very young ENERGETIX fans? 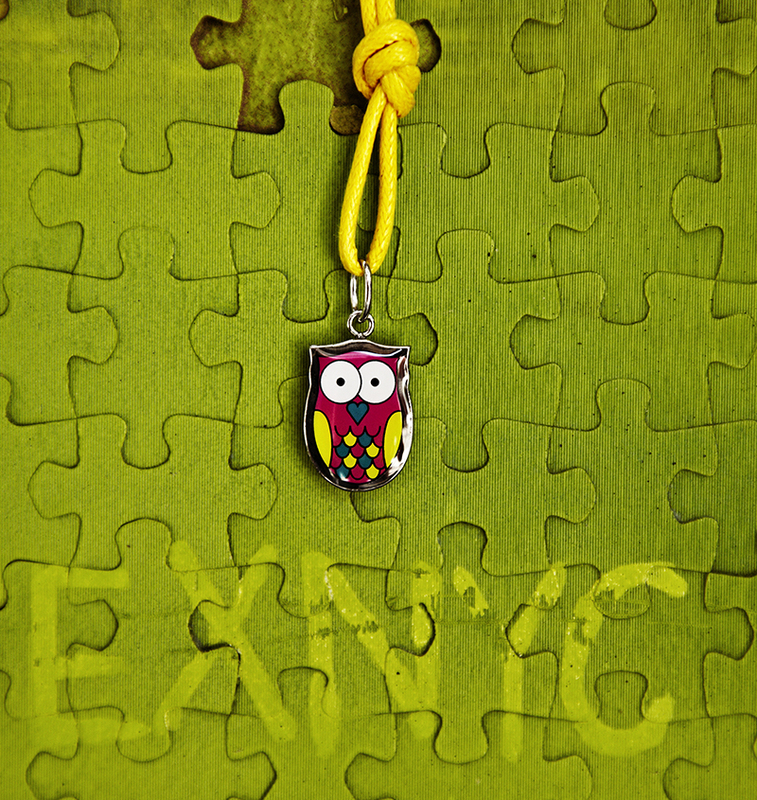 J. E.: Yes, the owls in a fresh colour combination and with cute details really do constitute a very pretty motif. The small slider for the children’s bracelets, which may be easily combined with the longer slider elements, is also new. J. E.: These stills were all taken by the photographer, Heiko Prigge, while we were on location in NYC. We just wanted to find exciting places where we could take photos for each category of jewellery. For instance, the marble frieze at the Public Library, or a mudguard on a motorbike or graffiti that we really saw there and that appeared to be just waiting for us: EX NYC. Thank you very much for the interview Janine!